1) North Carolina. The Tar heels may not have one of most dominating recruiting classes but they have a very solid recruiting class including 2 top 100 ESPNU recruits. What’s more impressive for the Tar heels are the players returning. After winning the regular season ACC Title and an Elite 8 appearance the Tar Heels will return their top 3 scorers AND rebounders from that squad. Also, they return all 5 of their starters. Tyler Zeller, John Henson, and Kendall Marshall all decided to return to North Carolina. This is said to have influenced Harrison Barnes decision to stay as well. I won’t talk too much about North Carolina’s two McDonald’s All Americans they have coming in. These two kids will supplement a well experienced and tough squad. 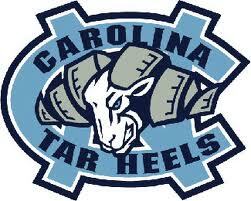 I like North Carolina’s chances this coming season. 2) Ohio State. 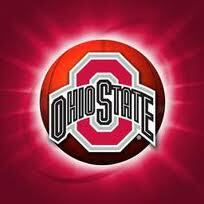 I like the Buckeyes here because they have some young talent coming back in Deshaun Thomas and Jared Sullinger. They also have Aaron Craft coming back, who ran the point for the Buckeyes for most of last season, also a freshman (going to be a sophomore). Even though they’re losing some senior leadership in David Lighty, Dallas Lauderdale, and Jon Diebler they have William Bufford to step up and take on the leadership role. They also have a very solid recruiting class coming in including 4 ESPNU top 100 recruits, 2 of which are McDonald’s All Americans. I look for the Buckeyes to reload and pick up where they left off and can see them possibly winning 30 games for the second straight season in a row. 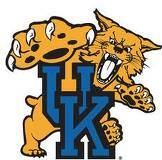 3) Kentucky. 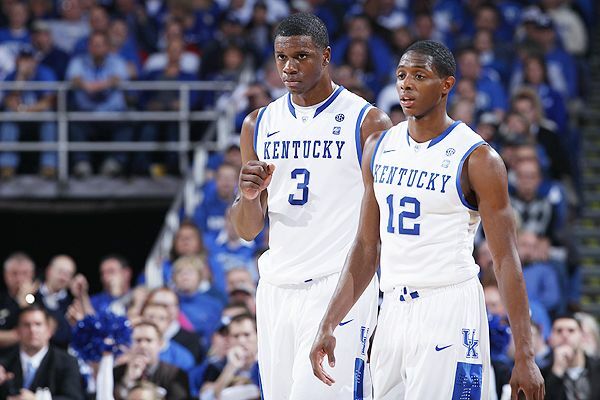 The decision hasn’t been made quite yet on whether or not Brandon Knight and Terrence Jones will return to the Wildcats squad. Doron Lamb has also stated that he’ll be back for his sophomore season. As of right now they have the top recruiting class according to ESPNU signing 4 top 100 recruits. All of which are McDonald’s All Americans. John Calipari seems to reload every season with an outstanding recruiting class, which I find a little questionable. However, Kentucky is my favorite to win the SEC this coming season and I wouldn’t be surprised to see them make another run to the Final Four. 4) Texas. With Jordan Hamilton and Tristan Thompson making the decision to come back Texas is going to be tough to beat. Not to mention the return of J’Covan Brown (possibly the best 6th man of the past season) who can score lights out when on. Texas also has the 5th best recruiting class according to ESPNU. They have one McDonald’s All American joining there already tough squad. I have a feeling with all the Kansas Jayhawks players leaving early Texas is the favorite in the Big 12. I can also see Texas making a run to the National Championship game. I know that equation is pretty intense but it’s the most accurate and accepted equation amongst basketball fans, coaches, players, and so called experts. I came up with it myself just so you all know. These are my top 5 preseason picks for the upcoming 2011-2012 season. Soon I will have up my 6-10 followed by my 11-25 preseason picks. Hope you all enjoyed reading and I thank you for stopping by. Also, I’m interested in hearing your thoughts on preseason picks! One of the most surprising news threads of the college basketball off season would have to be all of the early declarations to the NBA draft. With the possibility of an NBA owners/players lockout you would think most if not all non-seniors would stay at their respective schools. In this post I’m going to run down the list of people that I’ve heard that have declared for the draft (with or without signing an agent) and why I think they should go for the NBA or stay in school. 1) Markieff and Marcus Morris. The junior twin forwards for Kansas have been a force during their time as Kansas Jayhawks. This past season they seemed to be unstoppable all the while leading Kansas to a 35-3 record losing to the VCU Rams in the Elite Eight in the NCAA tournament. Although posting 35 wins in a season is remarkable some Jayhawk faithful feel letdown as they had hopes winning the National Championship this year. Personally, I think the twins have something to prove. I think they’ve underachieved during their time at Kansas and have really disappointed their fans by not bringing them a Final Four appearance during their stay at Kansas. They owe something to the Kansas faithful and to themselves. 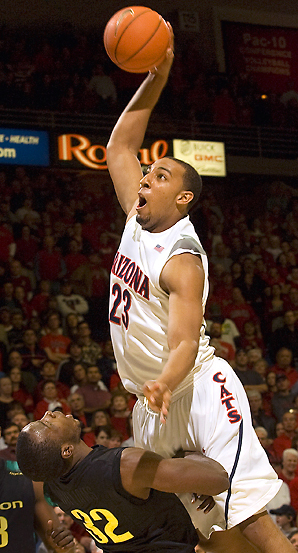 2) Derrick Williams. This kid had one of the best all around performances during this year’s NCAA tournament. Not to mention the outstanding season he had. Williams was named the Pac-10 player of the year as a sophomore while posting 19.5 points per game and 8.3 rebounds per game. I like this kid. Many people I talk to don’t like him claiming, “he got way too many calls his way during the tournament”. My argument to that is didn’t Micheal Jordan get a lot of calls, I recall so. Doesn’t Kobe Bryant get a lot of calls his way, I know for a fact so. The same goes with Lebron James and all the big time names throughout the NBA and Collegiate levels. The point is when you’re good like these players listed you’re going to get calls. Simply because you put yourself in a position to make plays and when that happens you’re going to get some help. I think Derrick should leave for the NBA draft. Honestly, I do not feel like he has much more to accomplish at Arizona. He has already won Pac-10 POY honors and I do not see Arizona has a National Title contender in the next 2 years. He will go as a lottery pick and make some very good money. Why not go? 3) Malcolm Lee. I didn’t get the opportunity to watch Lee too much during this past season. From what I’ve read and know about the kid it’s obvious that he has a very solid skill set. I don’t always like to base my thought’s and opinions on numbers and like to watch players to see what I think but, I’m not too impressed with Lee’s 13.1 points per game and only contributing 2 assists per game. BUT, then I remember who he played with. Tyler Honeycutt and Reeves Nelson. Honeycutt averaged 12.8 points/game while Nelson contributed a team high 13.9 points/game. Two other players contributed both 9.1 and 10.9 points/game. That’s good team basketball and means that everybody could score, as a coach you have to love that. As for his decision to enter the draft, I would stay if I was him. With there being so many unknowns about the immediate future of the NBA and some of the questions he has to be asking himself I think it’s a no brainer to stay in school and finish out his collegiate career and earn his degree. This way he could work on his jump shot and his perimeter shot as well as his basketball IQ, which seems to be some of the question marks NBA scouts have. 4) Shelvin Mack. Unlike the others listed above Mack has yet to sign an agent. This means he has the option to opt out of the draft and remain eligible for his senior season at Butler. To me this is a fantastic decision. I think Mack and his fellow teammates have accomplished more than they could ever dream of. Mack has made it to back to back National Championship games, unfortunately falling short both times. Shelvin averaged 16 points per game and shot just around 40% from the field this past season. I think Mack would make a great fit in the NBA. He has decent size for a guard at 6ft. 3in. and 215lbs. However, Mack has made it clear by not signing an agent that he could come back. Shelvin is a smart player and person. He knows the of the questionable future of the NBA and wants to know how high he will get drafted before he makes a decision. At this point in his career I think the only thing for Mack to do at the collegiate level is to work on his game or move on to the next level. Either decision for Mack will be a good one. 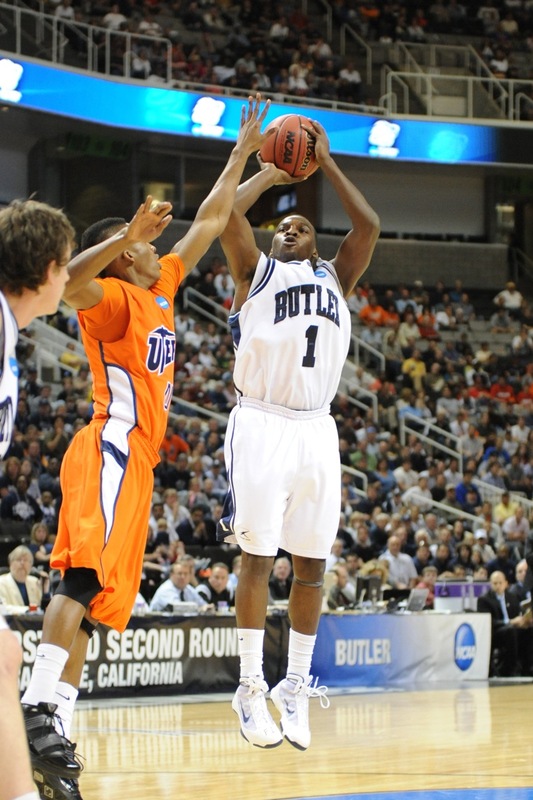 However, I look for him to actually stay at Butler and get his degree while leading Butler back to the NCAA tournament. 5) Chris Singleton. The Florida State Junior Forward has led the Seminoles to 3 straight NCAA tournament appearances and won the ACC Defensive Player of the Year award. Singleton has great length and is an awesome defender. The same for Derrick Williams I think Singleton has nothing else to prove at Florida State and I don’t see the Seminoles as a National Championship Contender in the next few years. I think Singleton is ready for the NBA and should leave school for the NBA. accomplished more in 1 year than many senior classes across the country accomplish in their 4 years at their programs. Honestly I think it’s probably a good idea for these two guys to stay in school just in case the NBA locks out. Their skill sets are solid enough to go in the late first round and early second round of the draft. It’s just a safe decision to stay in school for one more season and possibly make another trip to the Final Four, which I think is a good possibility. As of right now neither of these two guys have declared for the draft. But, Calipari has said he thinks both kids should leave for the draft and doesn’t think they should come back to school. 7) Kyrie Irving. I think Kyrie proved he was one of the best freshman this year. If he would have been healthy the entire season I could see the logic in him leaving for the draft. However, I think it would be a more intelligent decision to stay and get another year of experience while questions of an NBA lockout fly around. I like Irving’s athleticism and his basketball IQ. 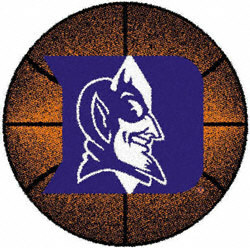 I think the decision to stay would benefit both Duke and Kyrie. However, he’s already signed an agent and there’s no way he’ll back. I think this is an interesting move and I think Kyrie will go in the early in the first round. 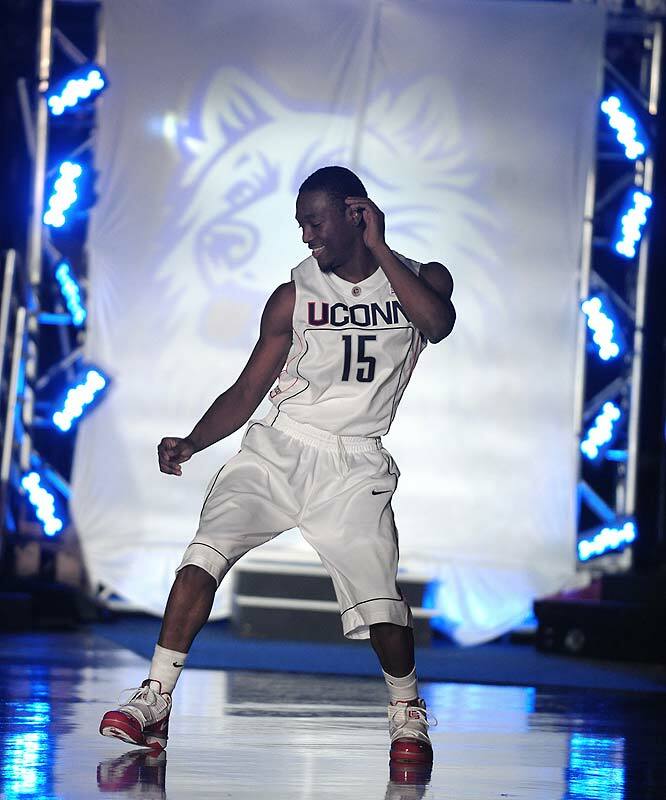 8) Kemba Walker. No brainer, go to the NBA. In my eyes I think he should have won Player of the Year (the Naismith Award) and he won the Big East Player of the Year. And let’s not forget to mention the National Championship he now has under his belt. He made so many last second shots to win games and had the most successful season of any player at the Division I level. Also, He’s graduating in May. So, he has a few awards, a National Title, and will have his degree within the next few weeks. It’s a no brainer that he should leave for the NBA. With the chance of an NBA lockout I think things should be interesting for Shelvin Mack, Terrence Jones, and Brandon Knight especially. I look forward to hearing the decisions these young men make.